Harry Bertoia's 1950 experiment with bending metal rods into practical art produced a revered collection of seating, including the exquisite Bertoia stool. 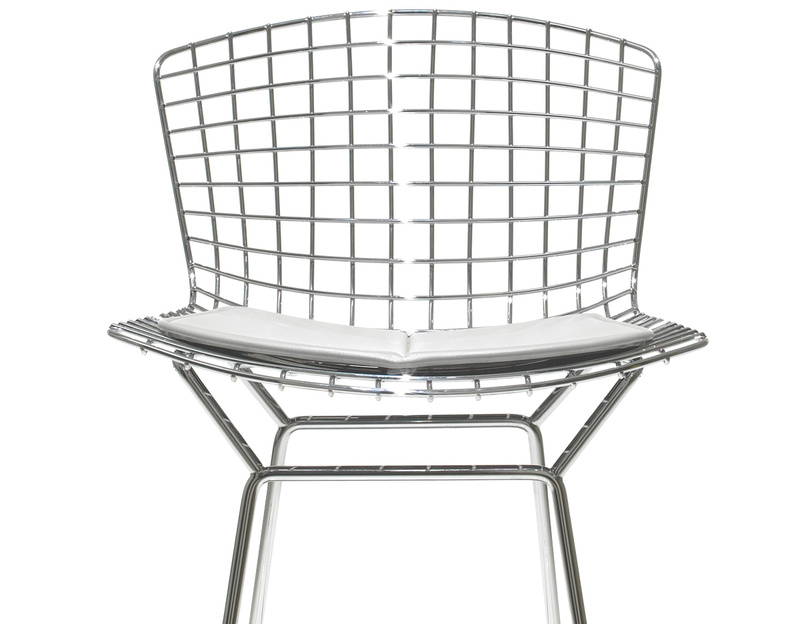 Innovative, comfortable and strikingly handsome, the chair's delicate appearance belies its strength and durability. 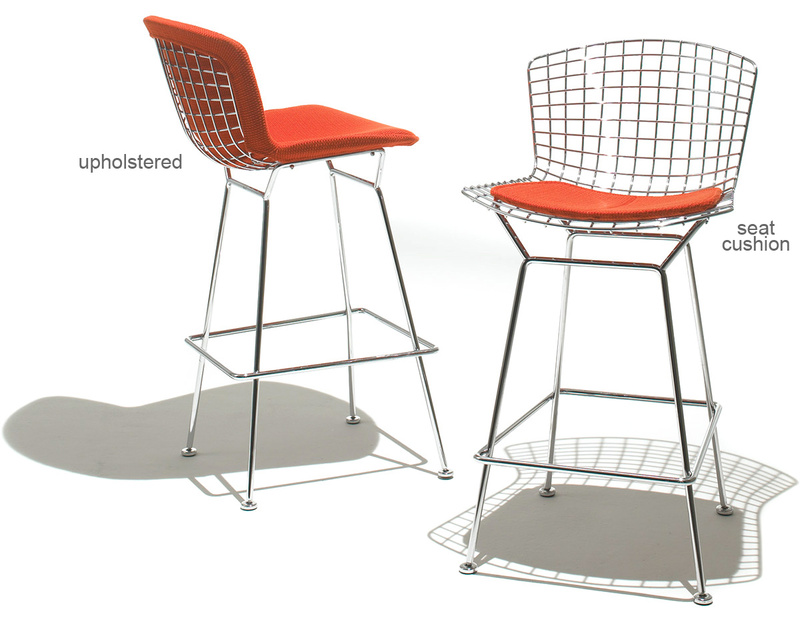 In Bertoia's own words, "If you look at these stools, they are mainly made of air, like sculpture. 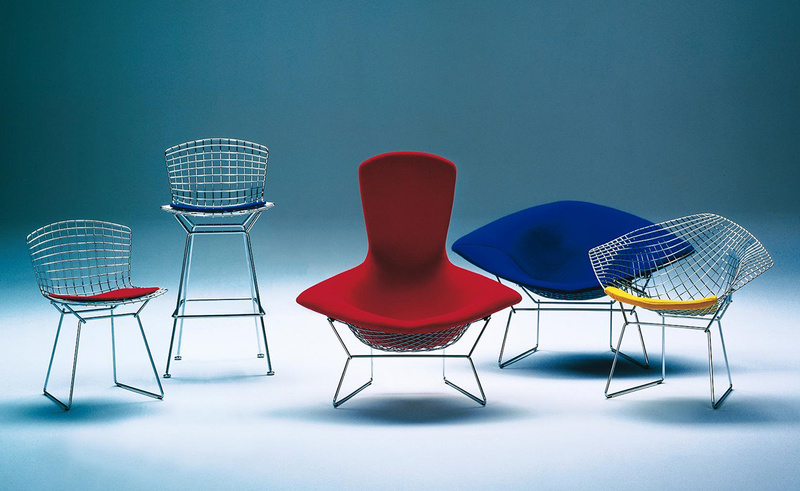 Space passes right through them." 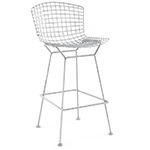 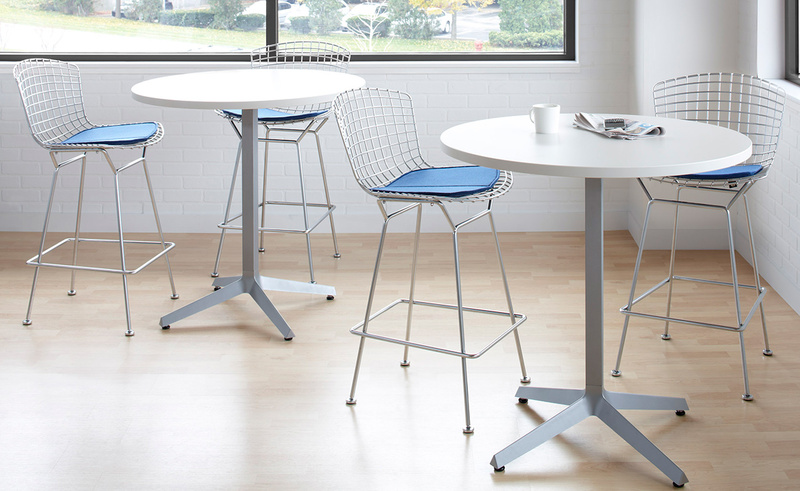 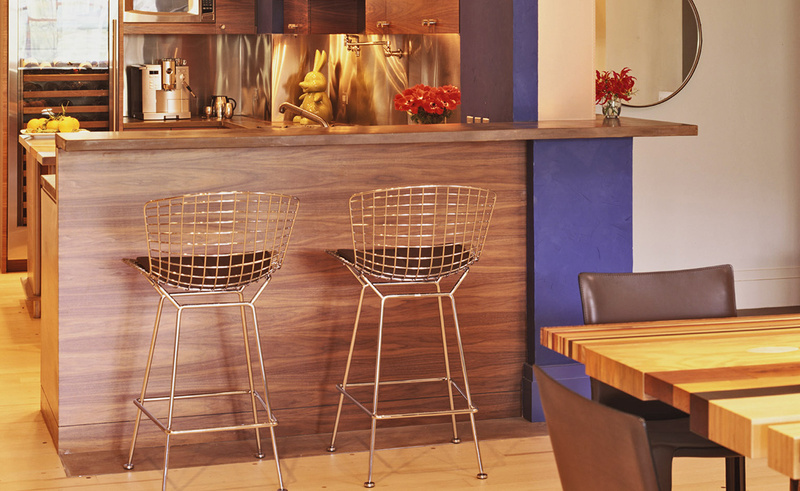 A classic, modern design that enhances any environment, Bertoia's stool remains a fascinating study in bent metal and a fixture of mid-century design. 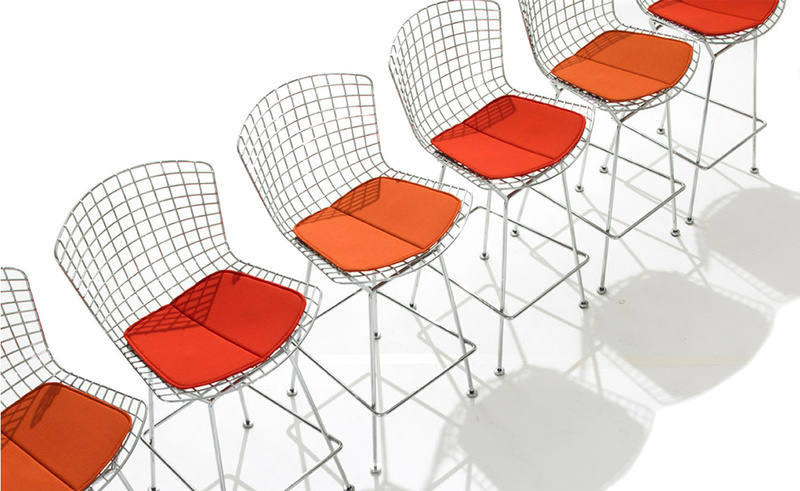 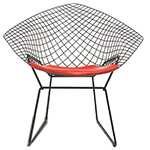 Knoll is the only authorized and licensed manufacturer of the Bertoia Collection which has been in continuous production since 1952. 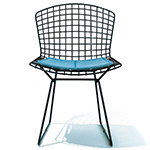 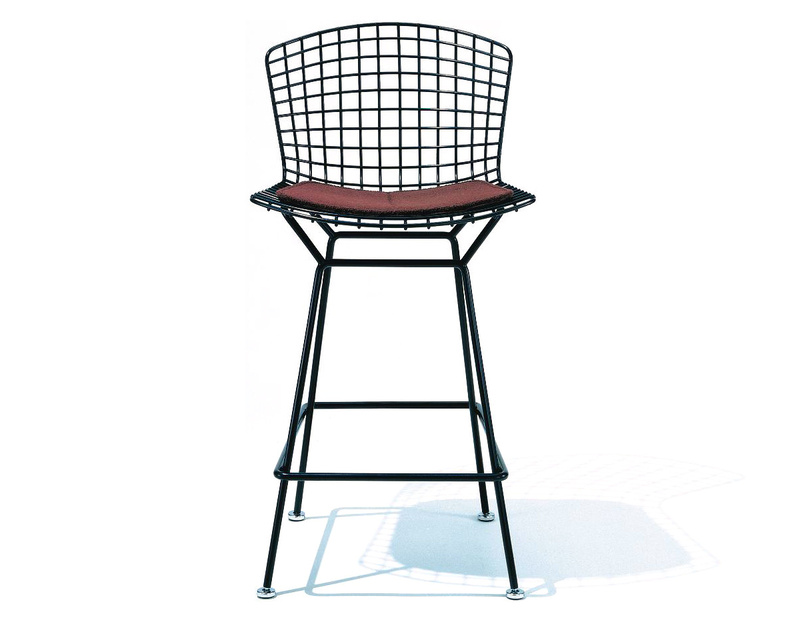 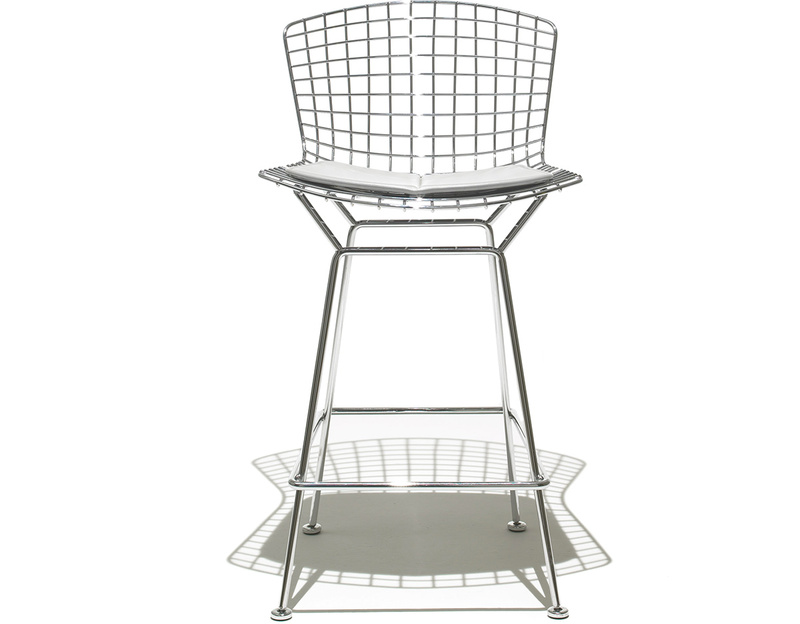 With proper care and limited exposure to the elements, the Bertoia collection unupholstered or with seat cushion are appropriate for outdoor environments. 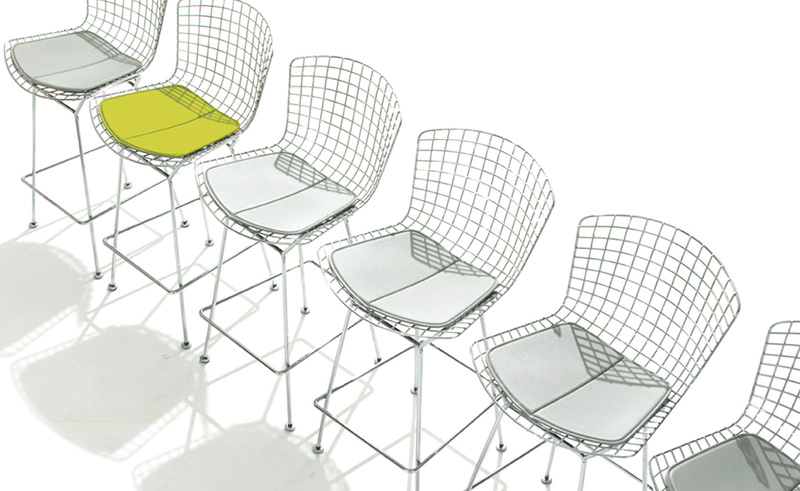 Please specify powder-coat (black or white) and appropriate upholstery - belize, vinyl, noble or rio (if applicable). 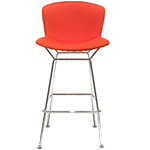 counter stool: 21.75" w | 39.5" h | 22" d | seat: 27.5" h | 20lbs. 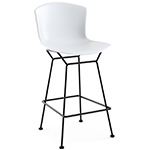 bar stool: 21.75" w | 41.25" h | 22" d | seat: 29.25" h | 21lbs. 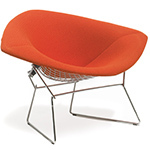 $1,322.00 + plus shipping in the continental U.S.